While I loved my art school teachers, they were all very different. There were some who taught technique. They were masters at drawing, design and type and their tips and tricks were valuable to a successful career, but some of my favorite teachers were the ones who taught creative thinking. “Only the master of evil,” some other teachers might add! Sometimes we learn from people in front of us and sometimes we learn from examples of those we don’t personally know. I can only pass on examples of the late Charles Goslin. Charles was the master of negative space. While others saw the glass as half full, Charles saw the glass as full – we just couldn’t see the air that filled the other half. Charles Laforest Goslin (February 23, 1932 – May 16, 2007) was an American graphic designer and professor of graphic design and illustration at Pratt Institute in Brooklyn, New York (1966–2007). He also taught at the School of Visual Arts (SVA) in New York City (1975–1985). Charles was educated at the Rhode Island School of Design (RISD) graduating in 1954. For most of his career, he worked as a one-person studio out of his home in Park Slope, Brooklyn (not far from my apartment), favoring independence over “filtering my work through another artist.” He was also a popular professor known for his candid criticism and unique assignments. His clients included IBM, Price Waterhouse, Pfizer Inc., Merck & Co., and Harper & Row. His work has been published in Graphis, Idea, Print, CA Art Direction, Step-by-Step, and Dictionary of Graphic Images. He has won numerous awards and recognition from the Society of Illustrators, AIGA and Art Directors Club. He was also awarded the Distinguished Teacher Award 2003–04 at Pratt Institute. His work is in the collections of several museums. A pretty impressive résumé! His work was genius. It was bold, simple, explored shape, color and impact. He used negative space as a balance in his design work. The negative space, almost became more powerful than the elements he used. Charles was able to see the big message in small things. He was one of those people who would walk the street and see things in everyday objects. We see horses and dragons in clouds and stains on a napkin. Goslin saw design solutions. Occasionally, Goslin would “write a ringer” and assign the clipping unbeknownst to his students, including one example about the Roman Coliseum becoming Rome’s first shopping mall. He has inspired literally thousands of designers. His favorite projects are handing out news clippings based on strange but real stories. There’s one from the New York Times about an automotive product called “Nuance” which gives interiors that “new car smell:” Design an advertisement for this pump spray invention. Or the article in the Daily News about an animal chiropractor—what would the brochure’s cover for this odd practice look like? The student’s job is to sketch, conceptualize and interpret, but above all, the student must communicate. In all of the examples of his work, and surprisingly, there are few available on the internet despite the wealth of his work, it was the ability Charles had to see what WASN’T there… but to SEE it there. I wish I could explain it but I just don’t have the mind that Charles had. It’s like idiot savants who can multiply huge numbers instantly in their head. Charles, a normal, intelligent and humble man, just had the gift. 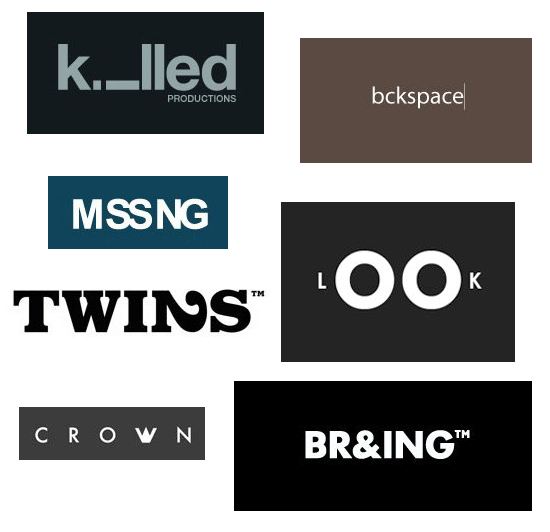 I wish I could list the names of the designers who created these logos (many can be found on Logopond, I’m told). If they see these or someone who knows the person who created any of these logos, please list the name in the comments section and, if listed by the designer, please relate if or how Goslin inspired you. Perhaps you are a former student? I learned a few lessons when the original article published was called out as having these examples that are NOT the work of Goslin. Foolishly, I trusted how images were labeled and appeared on Google searches. As we know, an individual can place anything on the internet and the false can easily become the truth, such as it were. The best lesson, which is what this article is all about, and I hope it still comes through to the readers, is the ability to think and see not just the elements of design but the space, the negative space, that holds them on a page or the screen. Goslin did great things, not only for design and for those he taught but also for those who felt his influence… those who can do designs such as the ones included in this article. Those who see the negative in everything. 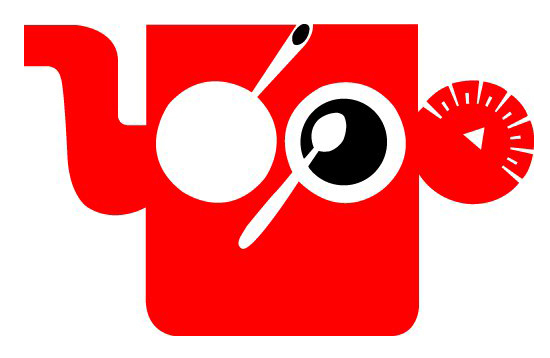 I love logos that make me smile and he was a master at that. Thanks Speider. Loved this article, I remember someone telling me about a good design book of Goslins, anyone know of books he’s written or books about him? Great thing to write/say – thank you. Thanks a lot for this article. Amazing story – great works – very inspiring! Nice article. . . brilliant logos. . .
Amazing stuff! Thanks for posting! I only graduated recently, and had him in a number of classes, but I know he has changed my life already. He had a very successful advertising business in LA, but went back to school, got his masters at RISD, came back to Delaware to teach (UD). He focused more on creative process, getting to that idea you cant get to within the first 5 minutes. I didnt think you could train someone to think more creatively, but you can. I remember just simple fun exercises like, a box full of random things and you had to reach in and grab a random object and come up with something that was different from its real purpose, improvising, being quick on your feet. We also did sonic projects where we had to pick instrumental songs and create abstract visuals – and this was for a visual communications major. After I graduated, I realize I needed to take a bit of extra time to learn a couple more of the programs – but I dont regret any second I spent in that school doing these exercises, learning the fundamentals. Its so important because then you understand it and can apply it to anything. He had a very profound impact on my life, more than any other professor. He loved what he did, and just so insightful. I was so lucky to have so many amazing teachers. Being at that school was such a special time in my life. All the students were very close, and just great quirky people. People think that art school doesn’t give you anything that you couldn’t learn on the internet. They dont realize how wrong they are. Hello Speider Schneider, this one belongs to the category of articles I read instead of scanning since it brings this unique joy of having something new and both unique and interesting. Thanks for the effort it’s very appreciated! A++ for the illustrations. Thanks for this great article and your efforts. 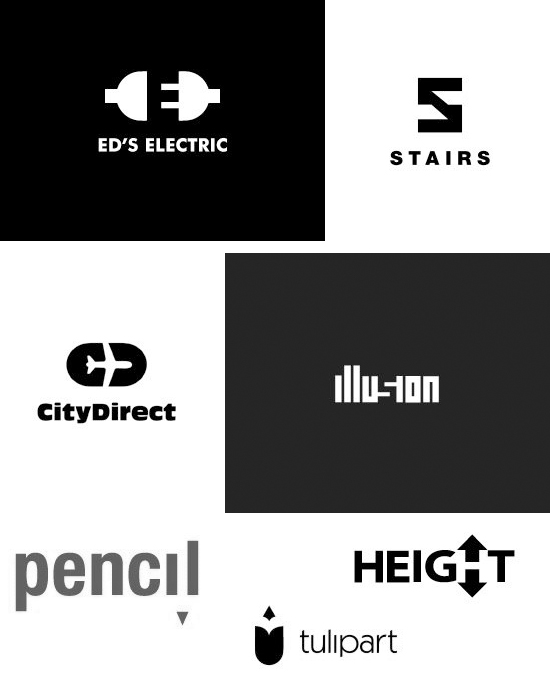 I saw many of those logos on websites regarding logo inspiration and was always amazed by them. As you said… now I can put the name of Charles Goslin to those ones. I never thought that all of them were made by only one person! Perhaps you should clarify that the logos you included in the post are NOT Goslin’s, but rather are works of various designers that appear to be sourced from Logopond. Because I already see people referring to these logos as his and that’s plain disrespectful towards their original authors. Alex, I am taking this comment very seriously and will refrain from commenting further until you can supply links to said logos on the source you mentioned. Please follow up with some links and source names of the designers you mention. Hmmm… I am confused… none of those logos are his work! What’s going on here? Bojan, please see the comment posted in response to Alex. I will have a further post on the subject very soon. This a joke? Most of the logo featured here were designed after Charles passed away… Curious for the author’s response. I am embarrassed by this blunder, for which I must take responsibility. I have rewritten the article and the Noupe team is working to correct this hideous mistake of mine. Foolishly, I trusted how images were labeled and appeared on Google searches. As we know, an individual can place anything on the internet and the false can easily become the truth, such as it were. Please come back in a few days to see the revised article. My personal and heartfelt apologies to the designers whose work was credited to Goslin and to the readers who received false information. The best lesson, which is what this article is all about, and I hope it still comes through to the readers, is the ability to think and see not just the elements of design but the space — the negative space — that holds them on a page or the screen. Goslin did great things, not only for design and for those he taught but also for those who felt his influence… those who can do designs such as the ones included in this article. Those who see the negative in everything. This is very Negative presentation of Charles Goslin by you Speider Schneider! Charles Goslin is NOT author of the logo designs shown here. This logos are not done by Charles Goslin. Period. You Speider Schneider need to be ashamed because you presented Charles Goslin in false way!!! Please see my comment above and the copy above the logos in the revised article. Thanks for including the names of the logo designers. While we do thank you for the names of the designers, as Speider asked commenters to do, your attitude for calling out what has already been discussed and openly apologized for by the author is unnecessary and unwelcome. If you are going to harshly critique the author, at least read the entire piece (which explains what happened and the inclusion of the non-Goslin designs), and the lengthy replies by the author addressing said issues from other folks. While it was an unfortunate series of events which led to this misunderstanding in the first place, it was an accident which has been accepted and corrected. Your unnecessary attempts to shame an already embarrassed and upset author is not accidental. Just rude and uncalled for. Let me explain a bit more: After the Speider publish his “original” article about Goslin, some of the readers (check the comments) start to warn him about the article, but without success, wrong article stays for a whole month on your blog. After I make my comment – he did not let my comment to be visible to others until he very quickly re-edit the article, add Goslins real works, posters, make apologize, etc. (BTW apologies accepted). After the editing of “original” post is done he publish my first comment with delay? You can still call my comment unnecessary and unwelcome (very kind from you) but my comment helps cuz author re-edit his wrong article and stop confusing and manipulating the readers. Also Google search cannot be an excuse, because using fast research I find all the names of original logo authors very easy. Sorry if my comment was “rude” – but as reader of your blog I was very upset with what I saw and that was my first reaction on Speiders originally IMO wrong and also rude article about Goslin and all named designers… Everybody can make a mistake. I’m sorry for Speider being upset but he must understand that his first article upsets many others also. Hopefully we all can learn something from this. Since you re-edit your article you can also re-edit my first comment – that will be fair to all of us. Remove my “rude” words and keep the designers names only. Or you can include designers names in the article and delete all my “unnecessary” comments, including this. Actually, your first comment was made two days after Speider’s first reply to the comments that alerted us to the issue. And no further explanation is needed, especially as it gets so much wrong. Yes, the article was inaccurate when it went up, and it was an embarrassing error on Speider’s part, as well as ours. No I do not consider it rude. It was a mistake. An unfortunate one for sure, but given the lack of malice in Speider’s intent, one that was forgivable. Sorry you do not seem to agree. To be clear, Speider is only an author for the site, and does not have any control over the comments or when anything on the site is published (save for updates to posts he has authored). Everything else is the responsibility of the Editorial team, and in this instance, specifically me. Your comment was not held until ‘quick changes’ were made to the post as you stated. On the 27th, after the first two comments were in, we were already in communication with Speider who was in contact with his sources. Speider also replied to the other commenters 2 whole days before you came into the post, acknowledging that it was being looked into. The article was rewritten and sent to us so that we could okay the changes, and then it the changes were published early in the morning on the 30th (while your comment was being left). The article was updated by Speider completely before I was at work to approve your comment (again, which Speider had no part of). So your comment had nothing to do with the post being changed, so it was not helpful in spurring any corrections. It was helpful in providing the names of the designers of the Goslin-esque pieces as mentioned. But your rundown of the events seems to paint a picture of intended manipulation of the timeline. Which is incorrect. It also seems to try to make the harshness of your original tone somehow justified. But again, others had already called out the mistakes and been responded to, so further attempts to shame someone for their mistakes was beyond unnecessary. And still is. Charlie used to say that there is no such thing as negative space, only shape and counter shape. He said that the shape should be large and interesting enough to make an interesting counter shape. I think that is what you are reacting to in your well written assessment of his work here. 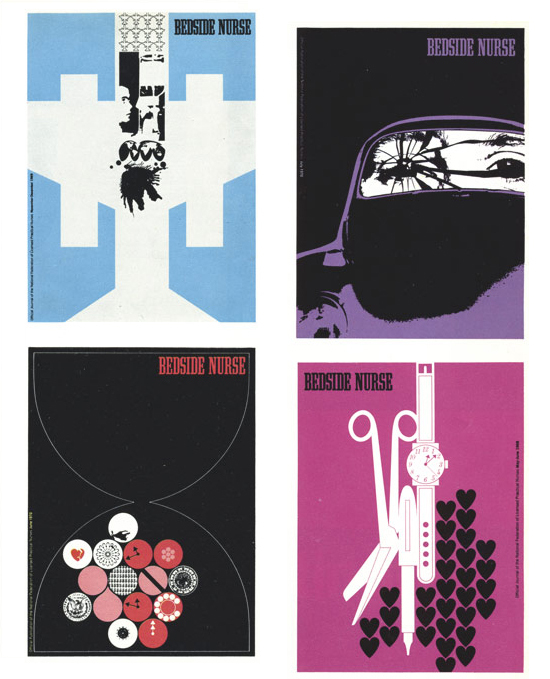 The “Bedside Nurse” cover in the upper right side of the covers shown here above (the image of a Volkswagen with a broken windshield) was not designed by Charles, but by Goslin’s partner at the time, David Barnett. I can email you a few scans of Charlie’s work if you like. They were gifts from him and I can personally vouch for their authenticity. In answer to a question here, his book was titled, The “Good Art of Common Sense.” He published it privately, it was a limited edition. It is a beautiful collection of his work. Wow, Dennis, thanks for the offer and the clarification. That’s amazing to have those pieces from the man himself. Also thanks for the answer on the book. Very happy that you happened across the post. :) Your comments and additions are invaluable and appreciated. Ay-yi-yi! The four images were, once again, credited to Goslin (and grouped as four on another site about him). I just can’t win on this one and again apologize. Dennis — perhaps you can shed some light on why a man with such a large and impressive body of work, doesn’t have more than a few images spread over the internet? Why are there so many mislabeled images with his name? Robert, since comments are under your responsibility – why do you let my comment to been seen if you think the comment is “rude” and “unnecessary”, unless you want to redirect the attention from your wrong article to my “rude” comment? I know exactly when I make the comment, please don’t manipulate. I left my comment after I read your wrong article, that means – before the article was changed -ok?? Comment is made at 30th July and the article is changed sometime later – maybe on the same day, same hour – but still later. That’s the truth. Still can be found on sites: neilkearney(dot)net, webdesignews(dot)com, tutsrus(dot)com, athenna(dot)com, scoop(dot)it, studiosoho(dot)net, etc. 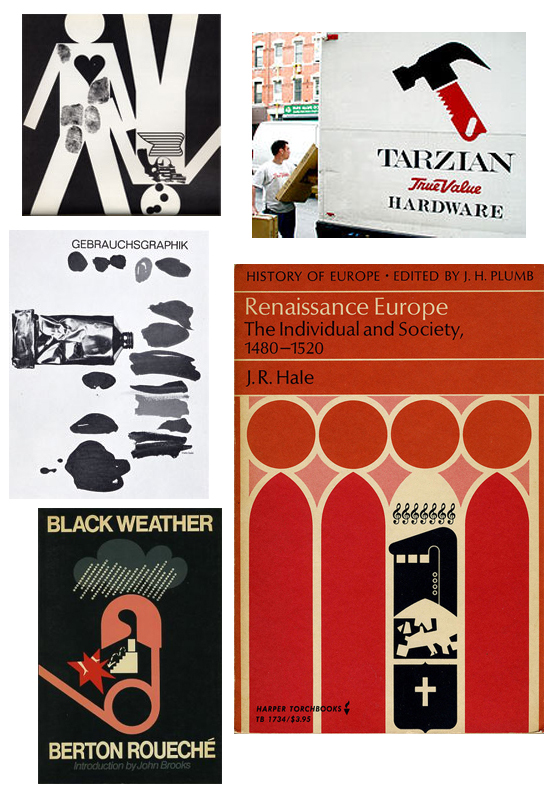 You can search for more… Tell us what about the moral rights of the original designers? Again, please don’t cover up your mistake with my “rude”, unnecessary and unhelpful comment! Thanks. First off, I told you why I let the first comment through. It provided the names of the designers whose work was incorrectly credited. We felt bad about the mistake and would not want to deny the credit to the designers or from the one who identified the pieces. Your second (and third now) comment made it through because you are directly responding to the situation and to block your comments would then open the door for accusations of being unfair and silencing you. How could allowing comments discussing the mistake be an attempt to draw attention away from it? We have owned up to it. We feel bad about it. We are not covering up the comments calling us out and running away from the mistake. We had the author make corrections. We’ve left the criticisms so that those who were misinformed could see that something has changed, if they simply scan the comments and not the post. And I made no manipulations with regards to the timeline on the comments, I simply pointed it out, with the added insight of the WP timestamps that you seemed to disregard altogether. Yes, I know how many trusted the article, which is why we acted immediately to correct the mistake that was made. I am not stuck on your comment, you keep coming in and leaving more. That’s not me not being able to let go, my friend. In fact, it’s quite the opposite. It is unfortunate that others copied the post on their sites incorrectly, rather than simply linking to the post here which would actually be updated with the corrections. It is an unfortunate side effect of the internet age. And yes, allow me to restate, we do feel bad for those designers whose work was originally miscredited. Not really sure what you mean by the ‘moral’ rights of the designers, or how to even address that point. Mistakes were made, we have not covered any of that up. So once again, I cannot see much point to your further comments other than expressing your anger at your comments being called out. Sorry you feel this way, but just as I was not going to silence you by not letting your comments through, I was not going to remain silent when you make assertions impugning our handling of the situation. But rest assured, this will be the final word from either of us on this matter. Thank you so much for this article…. I can’t tell you how much i loved this man! Charles Goslin was the most kindred sweet gentle man…. so beautiful… so nurturing….. as i read this article… I cried! He allowed me to be me, even when nobody understood the method of my madness…. Charles got me. There will never be another like him! I LOVE YOU MR. GOSLIN! I like this article. Very impressive. I study with Charlie my senior year 1982, at Pratt, and we had been close friends up until his death. 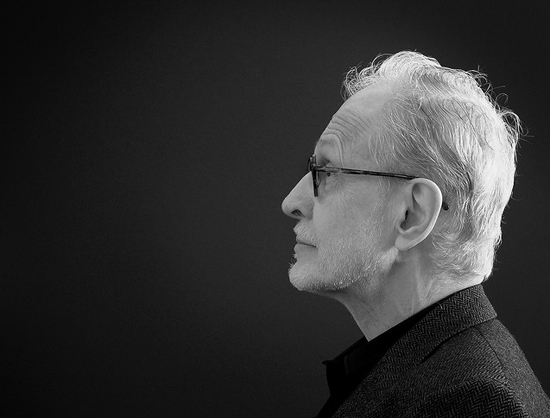 He had a tremendous impact on my careers as both designer and professor. I have several logos and designs that he has influenced. I also have several of his Christmas cards that I feature in many of my classes. My wife and children miss him very much, since he was a regular visitor to our home. This was a great pieces you did on Charlie—thanks. Charles Goslin taught me how to conceptually think. He has influenced me in my fine art and design work. I still hear him say ” Talk to me” when a design or painting is just not going right. Thank you much for this wonderful webpage showcasing his work and giving a bit of insight into his teaching. He was scarey but boy was it worth it.